Axalta, a leading global supplier of liquid and powder coatings, hosted its first Campus Talk in India at the Indian Institute of Technology (IIT) Delhi, one of the country’s top educational institutes. More than 150 students and professors from the Department of Chemical Engineering attended Campus Talk hosted by Charlie Shaver, Axalta’s Chairman and CEO, who spoke on the theme, “Technology drives a sustainable future: Yours”, to inspire students on the complementary role of technology and sustainability to the future of this world. 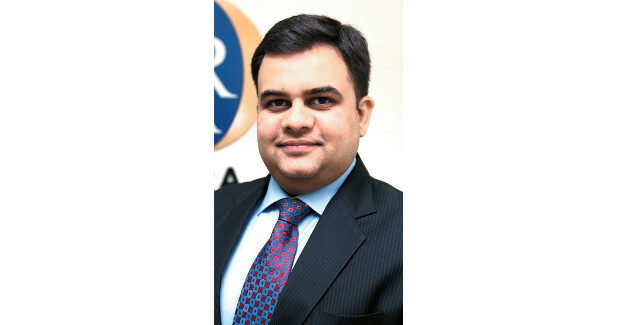 “With more than 150 years of industry experience and expertise, Axalta can be a good facilitator to unite stakeholders in India and around the world to achieve a common goal of sustainability. Innovation and continuous commitment to R&D are crucial in simultaneously discovering advance coating technologies that are also sustainable. It’s important that the next generation of leaders learn about sustainable practices now in order to help our industry continue to evolve, so we can enable a better and cleaner world going forward,” said Shaver. Axalta has hosted Campus Talk in China and other countries. 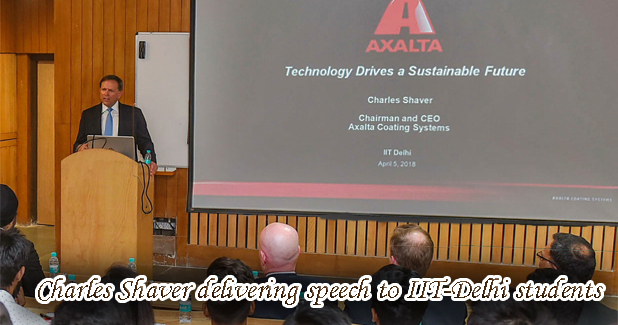 The Campus Talk at IIT Delhi kicks off the Axalta India STEM Education Program in line with Axalta’s global initiative which aims to create awareness and educate local academic communities on technology and industry trends related to coatings as well as the urgent need to be sustainable. Under the STEM Education Program, Axalta will work with universities on scholarships, internship and other co-op programs to equip the future workforce with skills and training on coating technologies and sustainability in India. Axalta has been doing business in India since 1996 and continuously invested in India over the last two decades. In addition to a new coating manufacturing plant within its Savli manufacturing facility opened yesterday, Axalta expanded its Technology Center near Savli and set up its new Indian headquarters in Gurugram within the National Capital Region last year. Axalta also has regional training centers in Bengaluru, Gurugram, Kolkata, Mumbai and Savli; and supports an extensive product distribution network across India.